The Zimbabwean hitman on Tuesday switched allegiance, penning a three-year deal with Tshwane giants Matsatsantsa. Rusike, who has netted eight times this season, bagged 20 league goals in 67 starts and seven substitute appearances in a two-and-a-half year spell with the Team of Choice. The 27-year-old initially linked up with Maritzburg from Hwange FC in July 2015. “On behalf of the directors of Maritzburg, we officially confirm the transfer of our striker Evans Rusike to SuperSport United, as of Tuesday,” Kadodia told his club's website. “It was quite a difficult decision for the club as Evans had become a household name in the City of Choice. The club and the player had numerous pressures over the past two years as far as a move is concerned. The player’s desire was to play in Europe, and he touted this Maritzburg move as his door into Europe. “As time went along, he looked at the proposal that was made to him by SuperSport and the negotiations were very professional. As Maritzburg United we want our players to be happy at all times and we supported the move. This kind of move shows the youngsters that there is a goal in football in South Africa, and thereafter Europe. “As a club we now give the opportunity to the other strikers, Andrea Fileccia and Mohau Mokate, to take this chance to fill in the shoes of Rusike. “The deal suited both the club and the player, in that it was a package deal done with SuperSport; there are some exciting young players that will be joining Maritzburg at the start of the new season, and there was also cash involved in the deal. “The club has been under pressure – the expectation of the partnership with the municipality didn’t materialise the way we expect it. Maritzburg unfortunately don’t have the resources of the SuperSports, of the Gauteng teams and that is our challenge. “We cannot sustain our whole operation without trading players. We appeal to the fans to stay behind the team. We’re still challenging for our goal, a strong top-eight position. The coach has been fulfilling his obligations and we need the support going forward to ensure we stay where we are. “This kind of income helps us to off-set the shortfalls. Football is a business, a very big business. And for Maritzburg to survive, we need sponsors, we need partners like the municipality to grow the brand stronger. 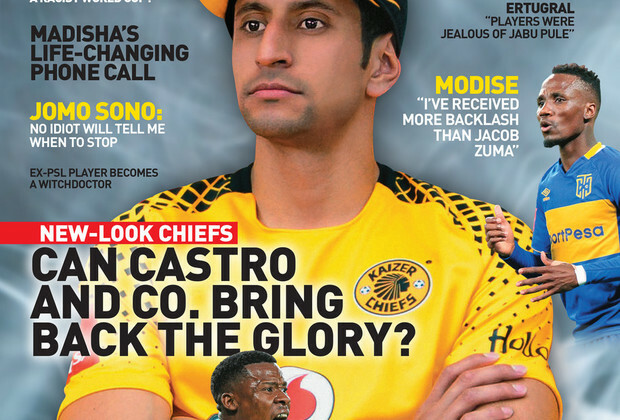 For more insight on the challenges of running a modestly-funded PSL club, get the latest KICK OFF Magazine - on sale now - as we chat at length with Kadodia on the issue. Get your copy now! Prefer reading KICK OFF Magazine on screen? DOWNLOAD a digital copy of the magazine here!